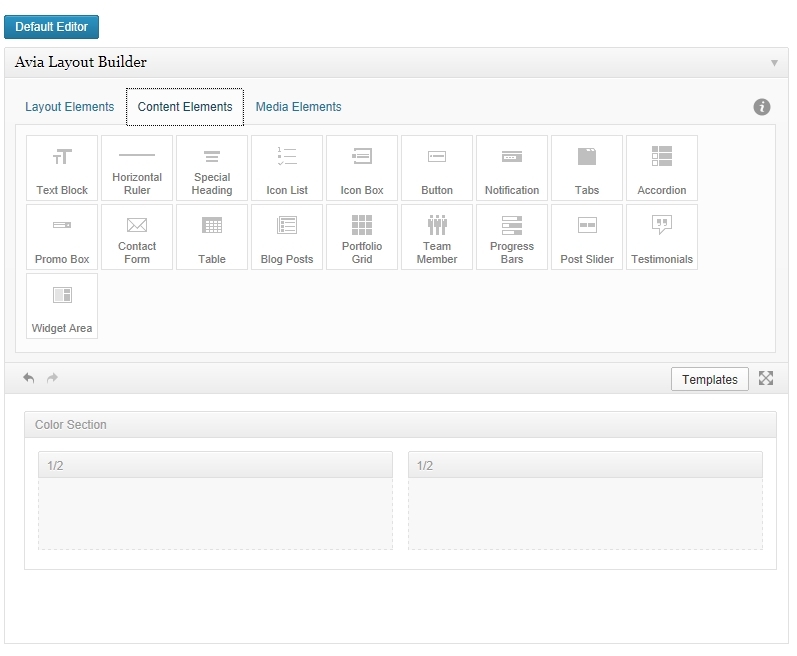 The Enfold Theme uses an Advanced Layout Editor, which allows you to easily set up complex pages and add various elements. Enfold – Advanced Layout Editor (short) from Devin Vinson on Vimeo. Enfold – Advanced Layout Editor (long) from Devin Vinson on Vimeo. Firstly login to your WordPress account, using the information provided. This will show you all the existing pages on your website. Click once over the page element that you wish to edit. When you are done, hit “Save” in the bottom right hand corner. Firstly drag and drop in the layout elements. For example 1/2 and 1/2 means the page will be divided into two halves. Or 2/3 and 1/3, etc. You can also add in a “Color” element first, which will allow you to insert different coloured background or even place images in the background. If you wish to use this feature, drag and drop it in first, followed by dragging and dropping in the layout elements. 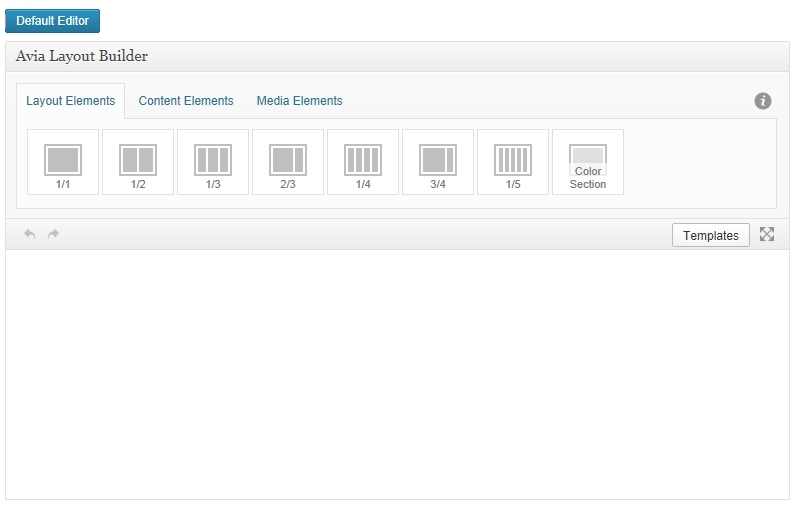 Next, click on the “Content Elements” or “Media Elements” tab and drag and drop one of the content elements over the layout element (Tip: drop the content element when the layout elements is highlighted in green – this will ensure it gets placed within the layout element). Once you finish adding in the information/images, click on “Save” bottom right hand corner. At this point, you can choose to place your new page under a particular section. Simply find “Page Attributes” on the right handside of the “Add New Page” screen and where you see “Parent” click on the down arrow to choose the “parent” page. Click on “Publish” top right hand corner. If you wish to make changes to the page, don’t forget to click on “Update” to ensure the changes are published online. 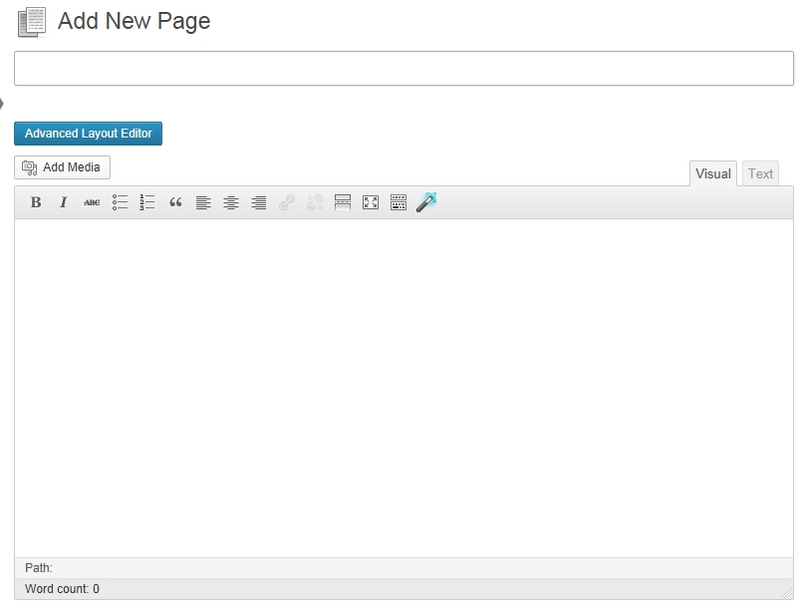 Please note: You can switch to the WordPress Default Editor by simply clicking the button which says “Default Editor”. If you are adding a key page to your website, such as “About Us”, in most cases the page will be added to the top menu automatically. 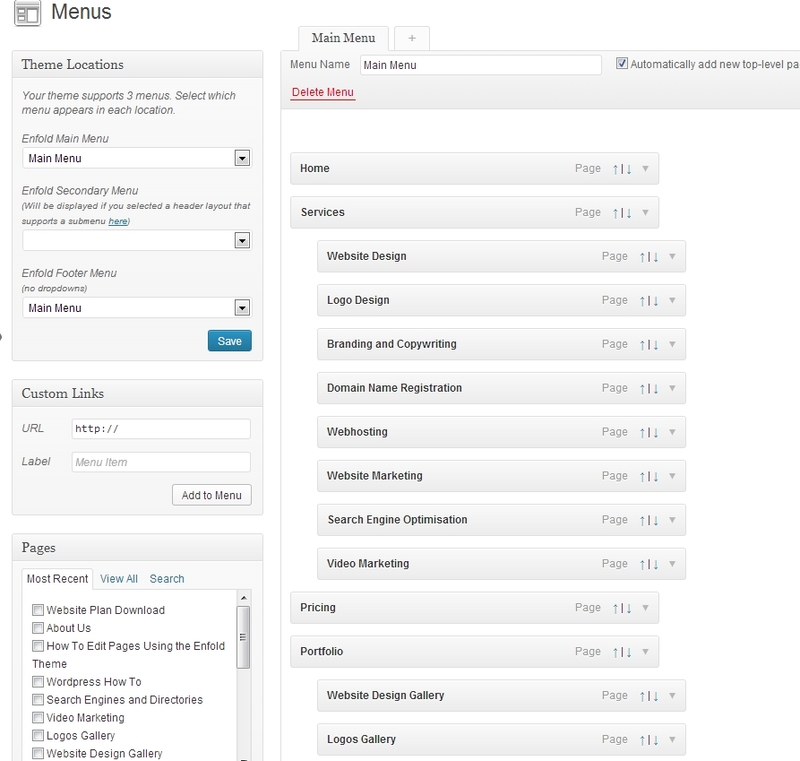 However, if you are placing a secondary page, such as “Qualifications”, you will need to manually add that to the menu. Then you can drag and drop wherever you wish for the page to display. The image will be added to the bottom of your photos. When you are in the “Edit Gallery” window, you can simply drag and drop the images to change their order. To link to someone’s website, simply type the website address, eg “www.web4business.com.au”. Firstly you will need to upload the PDF document to your Media Library. Where you see “Link to” select “Custom URL” and in the blank space below, simply add the URL of your PDF document which you saved earlier on. Click “Update” on the page.